Unit 1: What is superannuation? This is how superannuation works at the simplest level, how you contribute to it, and why it’s important for you. How does the superannuation lifecycle work? 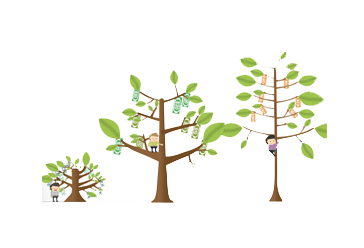 Unit 2: How does your superannuation grow? Your superannuation grows because it is being invested. This unit explains two key concepts of investing: 'Return' and 'Risk'. How do super funds talk about return and risk? This interactive activity provides a simple demonstration on the concepts of return and risk. You start with $1,000. You can choose which investment option to put your money into. Each tree comes with a chance of returning a positive or negative return. The tallest tree will give you the greatest return, but there’s a high chance that you may also get a negative return. Irrespective of which tree you choose, you will need to pay $10 as an investment fee. Where would you choose to investment? Unit 4: What's the difference between super funds? Super funds are different from one another. They perform differently, offer different options and benefits, and not all of them are available to everyone. What are the different categories of super funds? Unit 5: How do super funds manage my money? Your super fund grows and manages your superannuation investment through a thing called an ‘Investment Option’, also known as a ‘Product’. What is an Investment Option / Product? What is a MySuper option? Unit 6: What else can super do for me? Whilst funds primarily exist to maximise your retirement savings, some funds provide other benefits you can access immediately. What insurance is provided by super funds? What are ethical investment options? Unit 7: How can I make my super grow faster? You contribute to your super to help it grow. Some of this is compulsory, but you can also do it voluntarily too to make it grow faster. What are compulsory employer contributions? What is an after tax contribution? 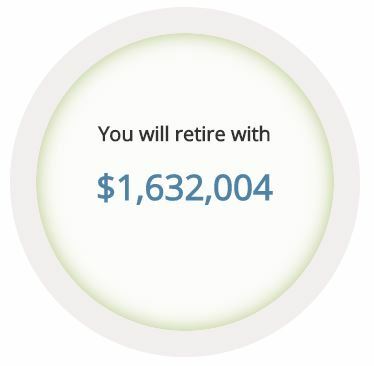 This superannuation calculator gives you an indication of how much super you can potentially retire with. It only takes into consideration a few simple factors – your current age, the age you’d like to retire at, how much savings you currently have, and how much income you make. This calculator gives you a rough indication of what you can potentially expect, so use it as a simple guide. For a more accurate assessment for your personal situation, you will need to talk to your Certified Practising Accountant or a licensed financial adviser. Unit 9: How much super is enough? The toughest question of all, how much super is enough? How much are you supposed to have? This video can’t answer those question for you, but it shows you how you can answer the question for yourself. To understand how much super you have and how it’s performing, start by looking at your superannuation statement. We know it looks hard to understand, so take a look at our mock statement that highlights the 5 most important things you need to look out for. Tap on each section of the statement for more information and explanations. Every year, come back and use this Superannuation Health Check to quickly make sure you’re up to date on your superannuation! All it does it simply walk you through the key activities you need to check through to make sure you are confident and happy with the state of your superannuation. Download our free app and access all videos and tips at any time on your phone. We hope you enjoy our free app!